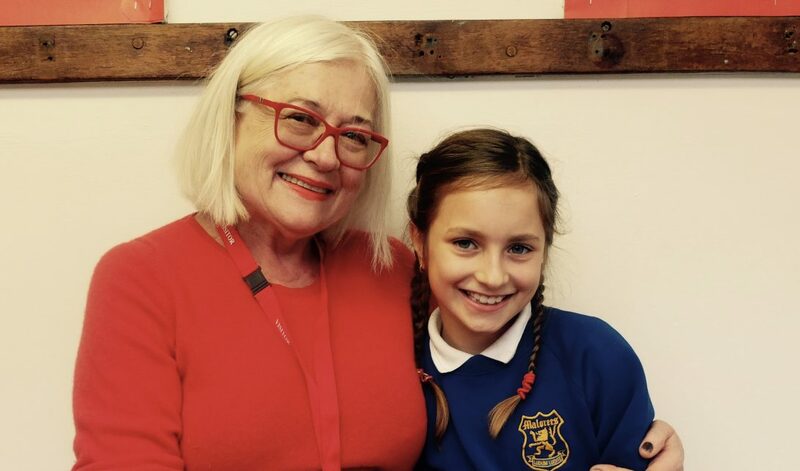 It is nice to see our efforts recognised as we all need a bit of positive affirmation, but what is even better is to get the sense that the idea of intergenerational storytelling at primary school level is gaining traction. Being featured in the summer issue of Brent Magazine seems to be more than a nod to OUR STORIES (and everyone who has been actively involved) as an initiative, but it is perhaps the acknowledgement of a wider issue that I am convinced we can at least try to help address with this project. What prompted me to think about this, was reading about a study by the RSPH (Royal Society for Public Health) published last week (https://www.theguardian.com/society/2018/jun/08/ageism-widespread-in-uk-study-finds). It highlights the rise of negative attitudes towards growing older, particularly amongst the younger generation, ie millennials, who imagine old age to be lonely as well as defined by memory loss and depression. These are troubling findings and undoubtedly, this narrow view of what old age represents has been fed by decades of ageist attitudes across most sectors of society but also by the marginalisation of the role that family elders play in most families. If families were less fragmented and intergenerational exchange was still a part of daily family life across the UK, we would be looking at a different level of awareness in adults and children and of course, a different quality of ageing, too. Finding out about a grand- or even great- grandparents’ journey in life through a mixture of methodical questioning, contrasting and spontaneous storytelling gets children to think about those elders as a younger version of themselves, with more facets than they may have previously noticed. Listening to the adventures, challenges and successes their older relatives had to face might help them to frame their own experiences in years to come. Ad finally, learning about one’s family history and heritage helps to strengthen one’s sense of identity and belonging, regardless of socio-economic circumstances. < Where is your ‘Storyteller-Grandparent’ from?